Cast: Viola Davis, Andre Holland, Cynthia Erivo, Daniel Kaluuya, Elizabeth Debicki, Michelle Rodriguez, Liam Neeson, Colin Farrell. Story: Remake of Lynda La Plante‘s 1983 British miniseries of the same name. 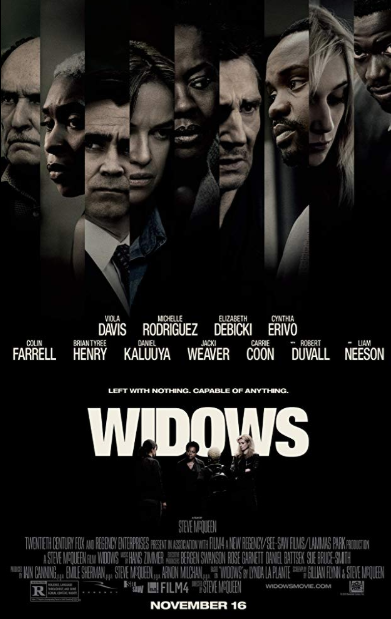 Tells the story of a group of armed thieves who are killed during a botched robbery. In the wake of their husbands’ deaths, the thieves’ wives band together to finish the job the men in their lives couldn’t successfully complete. Source: Slashfilm. This entry was posted in Upcoming Films and tagged Andre Holland, Cynthia Erivo, Daniel Kaluuya, Steve McQueen, Thriller, Viola Davis by blackcinemaconnection. Bookmark the permalink.